Halloween just passed, hope you enjoyed every moment of it! Before moving on, I wanted to include a horror movie in this series. I chose a movie from Roman Polanski’s Apartment Trilogy, Rosemary’s Baby. It is one of the very few horror movies that I have ever seen, because I am really terrified of horror movies and can’t get rid of the images out of my mind for the following days. The closest genre that I can support is suspense. However, I am a big fan of the Apartment Trilogy of Polanski. What about you? Do you like horror movies? 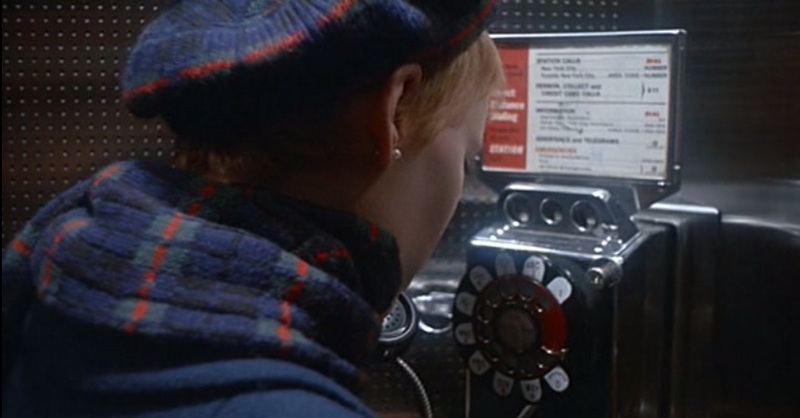 Rosemary’s Baby is probably one of the scariest movies that has ever been made. In 1967, the writer Ira Levin found the inspiration from his wife’s pregnancy and wrote Rosemary’s Baby. The movie's plot is written and directed by Roman Polanski based on this novel. 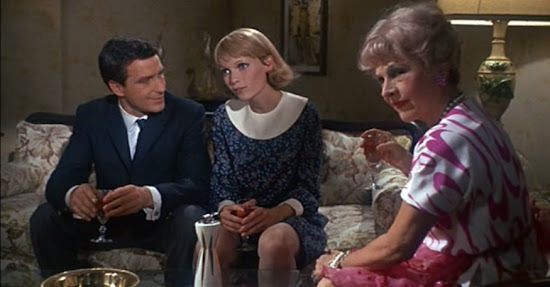 Three of Polanski's movies which are about the horrors dwelling in an apartment, are known as the Apartment Triology; and Rosemary's Baby is the second of them (the other two are Repulsion (1965) and The Tenant (1976)). 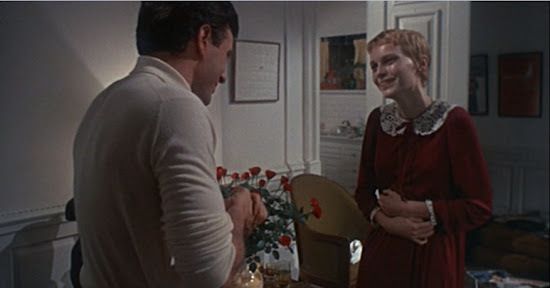 Rosemary’s Baby starts with a couple, Rosemary (Mia Farrow) and Guy (John Cassavetes), looking for an apartment to rent. When the couple finds the right apartment, we understand that there is something wrong about there. The couple meets with their eccentric elderly couple neighbors and paranoia leads the movie. The young couple expects a baby, but with the pregnancy, the reality mixes with fantasies, everything gets cloudy and ambiguous for Rosemary. She experiences strange dreams and suspects that something weird is happening around her. Rosemary’s overall look is like a 60s fashion show: dresses with peter pan collars, floral prints, puffed sleeves, silky evening dresses, wide leg trousers, chiffon suits, furry slippers, square heeled shoes… All of them, being the landmarks of 60s wardrobes, were enough to make Rosemary seem pure. The young costume designer Anthea Sylbert gives successfully the appropriate athmospheric feeling to the film. Did you know that? 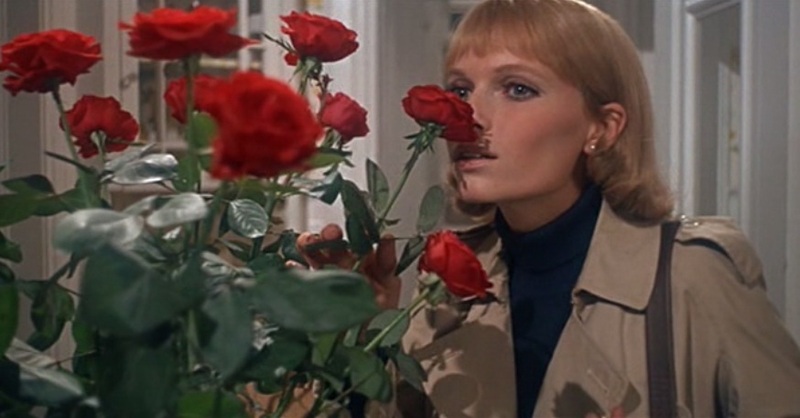 During the casting period, Polanski proposed his wife, Sharon Tate, to play the role Rosemary. However, production was considering other names for the role. During the filming, Sharon Tate visited Polanski in the set, in London. 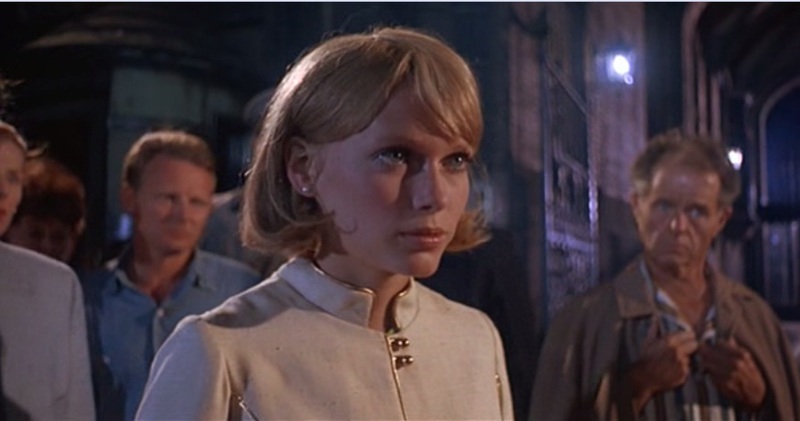 She even appeared uncredited as a guest in a party scene. 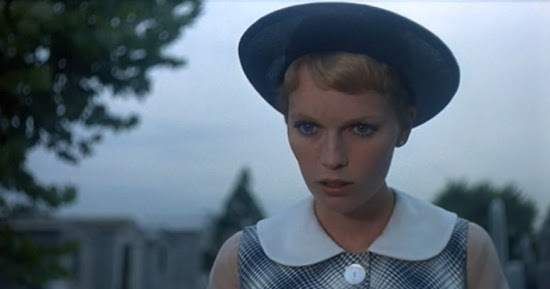 She was pregnant to Polanski's child. Then, she got back to Los Angeles, where the couple resides at that time. However, unfortunately, Tate and her unborned child of eight and a half months were brutally killed by serial killers in her house.